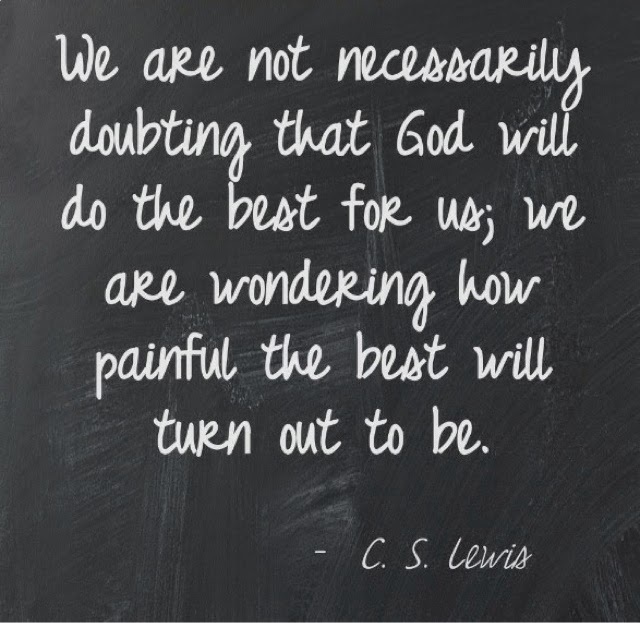 Sometimes trials bring about God's best for us. We don't like it, but it's the truth. And we do have a choice. Oh, not in if the trial comes or not, but in how we handle it. I'm not saying there won't be tears or groanings or even moments of despair or anger, but we can't stay there. Because what would that accomplish? I mean, play that out fully to the end. Would that bring us to God's best? I don't know about you, but if I have to have the trial, I want good to come out of it. I want it to produce in me God's best. Which means we need to hold James 1 close to our heart. We need to let perseverance finish it's work in us. We need to consider that somewhere in the midst of all the bad, God will bring joy and deliver his best in our lives. Are you struggling in the middle of a trial today? Praying for the strength of perseverance to meet you right where you are. I just finished reading Acts, and you've inspired me to go to James next. Looking back on the major trials in my life, I can see how I grew closer to God. And I want to stay close to him out of pure love and adoration. But I don't stay as close, and another trial comes my way. Why is it we don't draw as close when things are smooth-sailing? I know! It's something I've been working on too, to remain as close to him during the good as I do during the struggle. Oh! And enjoy James. I'm doing it through Beth Moore's study on it. So far it's been great!